Our Post-Release Monitoring (PRM) team from Camp Nles Mamse in the Kehje Sewen Forest, East Kalimantan, has been busy conducting follow-up observations on six recently-released orangutans. We are delighted to report that all six orangutans – Bieber, Josta, Mads, Menur, Restu, and Riva – have been adapting well to their new environment since their release on August 28. 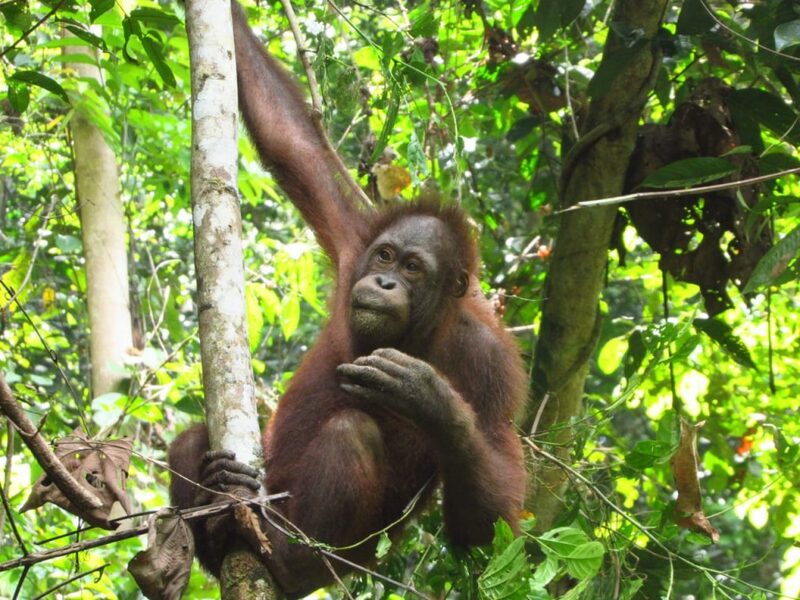 Bieber, who has been very active since his first day in the forest and travelled far from his release point, has been spending a lot of time with his friend, Riva. 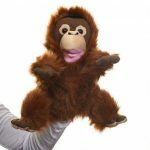 He has also discovered some other orangutans that were released way before him; namely Bungan, Bong, and Agus. Just like his best friend, Bieber, Riva has also roamed far from the spot where he was released. 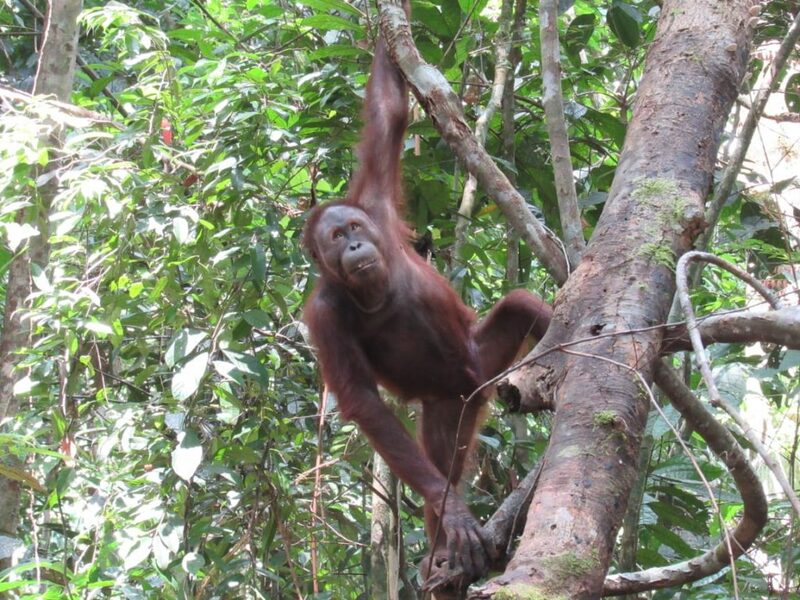 Together with Bieber, Riva has foraged, explored, and spent most of his time up in the highest branches of the canopy. Up until the most recent monitoring report, the two were still hanging out together and making their nests close to each other. 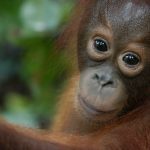 Restu, who initially joined Bieber and Riva in the first few days post-release, disappeared into the forest on the third day. 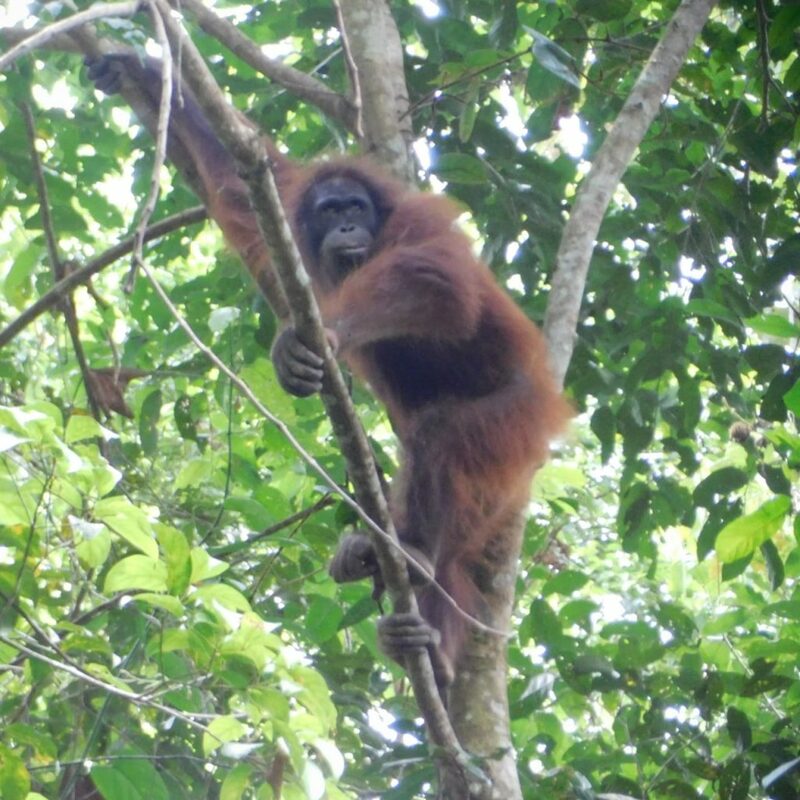 We have not been able to track him down since; but based on past experience, we can usually catch up with active orangutans like Restu after they have spent a few weeks exploring the forest. 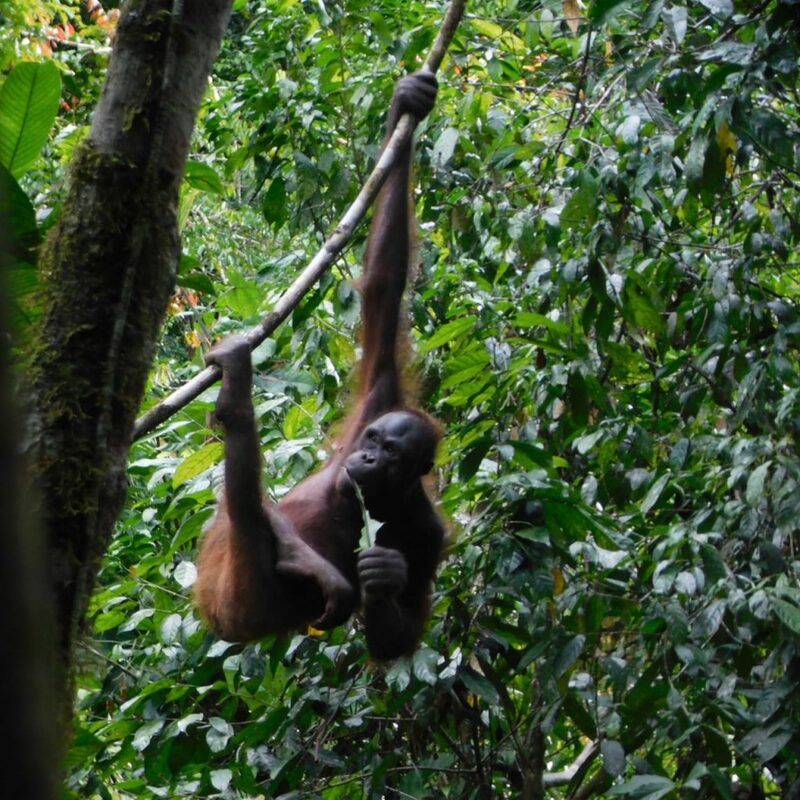 Meanwhile, Mads, who spent his first few hours of freedom resting on a branch and observing his surroundings, became more active in the days following; he busily foraged and interacted with the two females released in the same group, Menur and Josta. 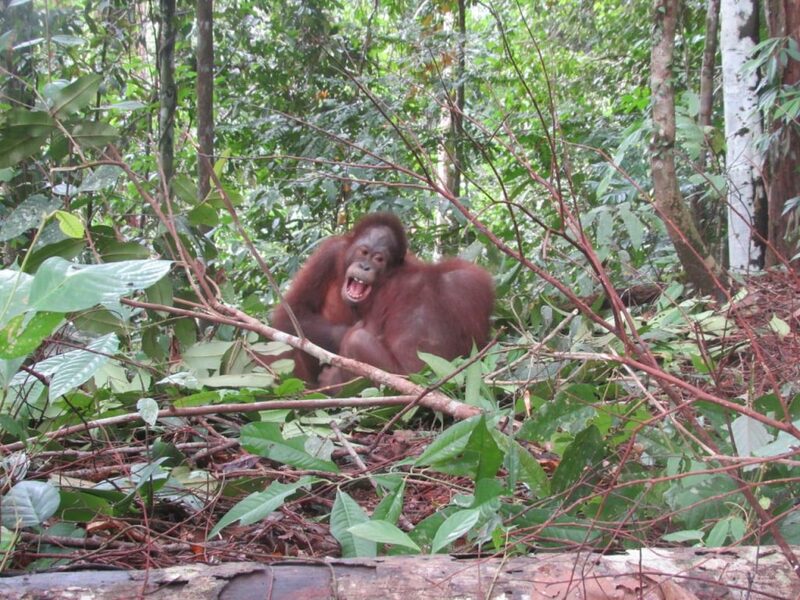 Active Menur spent most of her time with Josta in the first few days following their release, but now prefers to explore the forest alone. She soon moved away in another direction to forage for a different variety of forest fruit. Since splitting from Menur, Josta has expanded her range and was last observed roaming nearby the helipad area, about 1 kilometer from her release point. The PRM team is thrilled to see the progress these six newly-released orangutans are making in the first two weeks since gaining true freedom. Their foraging, movements, and range is a good indication they are adapting well to their new life in the wild. 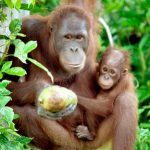 We will continue to monitor their progress, and hope they will someday produce a new generation of wild orangutans in the Kehje Sewen Forest. You can support our monitoring team. 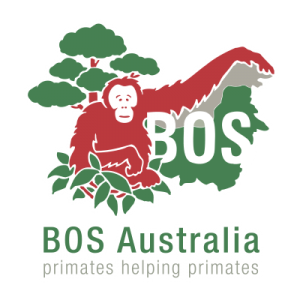 DONATE NOW to BOS Australia!